Easy to find the meeting point and the representative was there early which allowed us to board the 9:41 am train to Bicester Vilage. 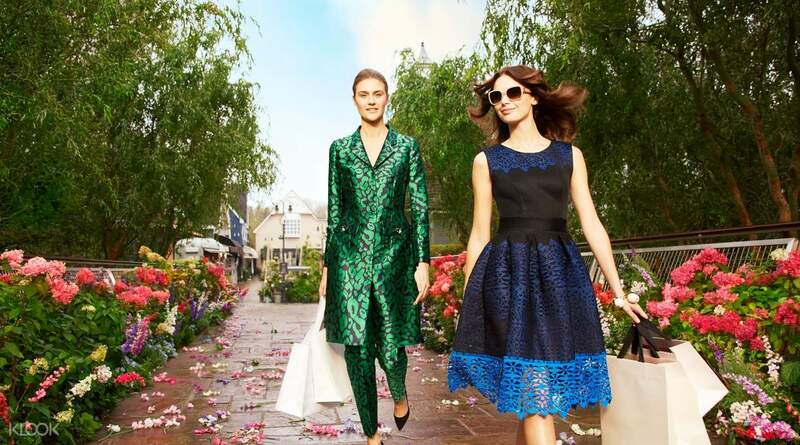 Discover a world of luxury at Bicester Village, the ultimate shopping destination. 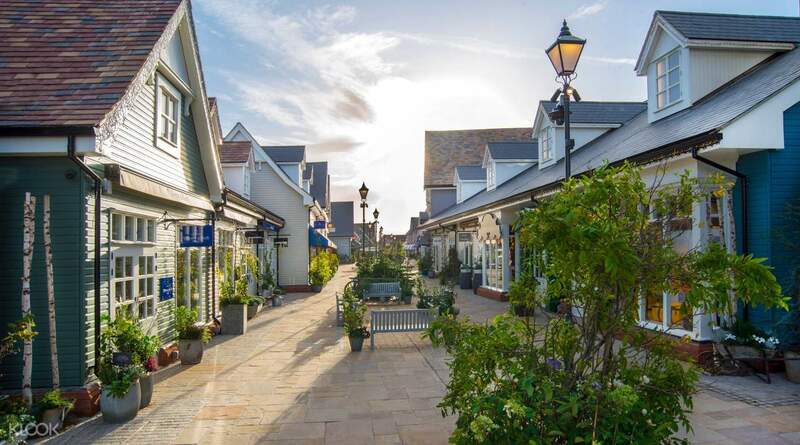 Home to more than 130 fashion and lifestyle boutiques, Bicester Village is located in the beautiful Oxfordshire countryside, less than an hour away from London. 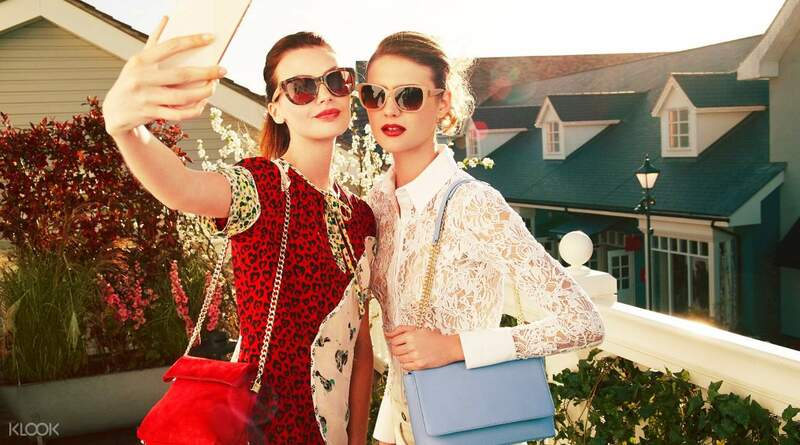 Find boutiques of leading British and international luxury fashion brands with savings of up to 60% all year round, including Alexander McQueen, Armani, Bally, Coach, Fendi, Givenchy, Marc Jacobs, Mulberry, Oscar de la Renta, Paul Smith, Saint Laurent Paris, Stella McCartney, Tod’s, Valentino, and many more. 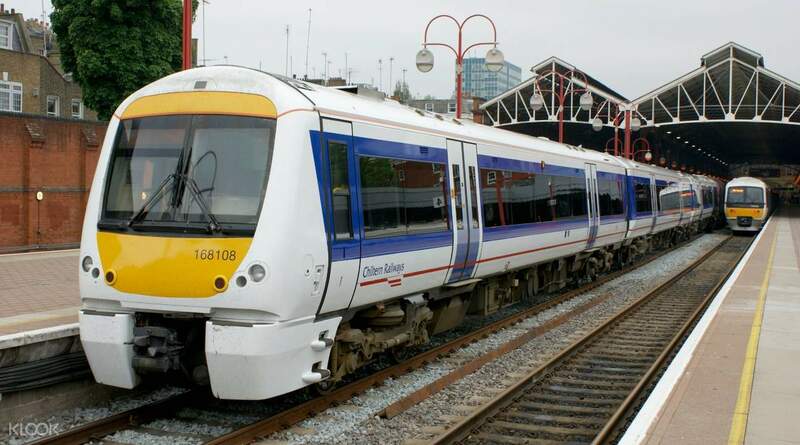 Save yourself of trying to find your transportation and how to get there from London through booking this convenient round trip train ticket. Enjoy the convenience of just hopping on a train, shopping until you drop, and then returning back to your hotel in London at any time you wish. Too much shopping? For an additional fee, you can avail of the courier service which ships out your purchased items back to London. This is a haven for those who just love to shop! Staff reached around 9:20am for us to be able to board the 9:35am train to Bicester Village. Instructions were clear by the staff and also the info provided in the letter. Train ride was comfortable and fast. Bicester was a good place to shop for luxury items at discounted prices. Staff reached around 9:20am for us to be able to board the 9:35am train to Bicester Village. Instructions were clear by the staff and also the info provided in the letter. Train ride was comfortable and fast. Bicester was a good place to shop for luxury items at discounted prices. I'm very glad to have booked the tour with klook. the meeting point was easy to locate and we got our tickets easily from the personnel. The visit to Bicester village was very fulfilling! We had our own time to shop and return with the same ticket at any time we wanted. Great experience! Thank you Klook! I'm very glad to have booked the tour with klook. the meeting point was easy to locate and we got our tickets easily from the personnel. The visit to Bicester village was very fulfilling! We had our own time to shop and return with the same ticket at any time we wanted. Great experience! Thank you Klook! Evan Evans guide was punctual (early, in fact) and we managed to get on a 9.35am train to Bicester. Rrached in approx 45 mins. The whole process was fuss-free and the directions provided by KLOOK was precise and straightforward. January was a good time to go for final sales & most of the buys were very worth it with extra 40% off outlet prices(which prices have already been slashed). The VIP 10% extra discount was useful but not applicable to all shops, do check what their t&c(s) are. All in all a great experience! Be prepared to spend the entire day here though, there are lots of shops to see! Evan Evans guide was punctual (early, in fact) and we managed to get on a 9.35am train to Bicester. Rrached in approx 45 mins. The whole process was fuss-free and the directions provided by KLOOK was precise and straightforward. January was a good time to go for final sales & most of the buys were very worth it with extra 40% off outlet prices(which prices have already been slashed). The VIP 10% extra discount was useful but not applicable to all shops, do check what their t&c(s) are. All in all a great experience! Be prepared to spend the entire day here though, there are lots of shops to see! The representative - on time, friendly and very helpful. The journey were smooth amd we get the 10% additional discount coupon. The representative - on time, friendly and very helpful. The journey were smooth amd we get the 10% additional discount coupon. First time visiting Bicester and certainly won't be my last! It's a pretty village with good selection of food when you need to put your feet up a bit after browsing the extensive variety of high-end outlet shops. Highly recommended if you are in London and enjoy quality shopping. First time visiting Bicester and certainly won't be my last! It's a pretty village with good selection of food when you need to put your feet up a bit after browsing the extensive variety of high-end outlet shops. Highly recommended if you are in London and enjoy quality shopping. Highly recommended. Hassle free when you book through Klook. All you need to do is arrive at Marylebone station by 930am and the Evans Rep will pass you your train tickets as well as an exchange voucher for a 10% VIP card at the outlet. You do not have to print the KLOOK voucher, simply show them the e-voucher on your phone. If you want, you can also get on the earlier train at 0935hrs instead of the 10am one. Train ride to the outlet is approximately 45 minutes. Be prepared for a whole day of shopping (guys you are warned if you’re with your spouses or other halves :/) . Note you can also do your tax refunds at the outlet and obtain cash on the spot, pretty convenient. Will definitely use KLOOK again for my London and other travel needs. Thanks ! Highly recommended. Hassle free when you book through Klook. All you need to do is arrive at Marylebone station by 930am and the Evans Rep will pass you your train tickets as well as an exchange voucher for a 10% VIP card at the outlet. You do not have to print the KLOOK voucher, simply show them the e-voucher on your phone. If you want, you can also get on the earlier train at 0935hrs instead of the 10am one. Train ride to the outlet is approximately 45 minutes. Be prepared for a whole day of shopping (guys you are warned if you’re with your spouses or other halves :/) . Note you can also do your tax refunds at the outlet and obtain cash on the spot, pretty convenient. Will definitely use KLOOK again for my London and other travel needs. Thanks !